Happy Hamby Campers: Measuring up! Nick and I bought two single caravan-sized innerspring mattresses on Friday night. They seemed a bargain, so we hit the "buy it now" button without thinking too much! It later occurred to us that the seller hadn't listed the dimensions and we hadn't asked for any details. Call us keen! 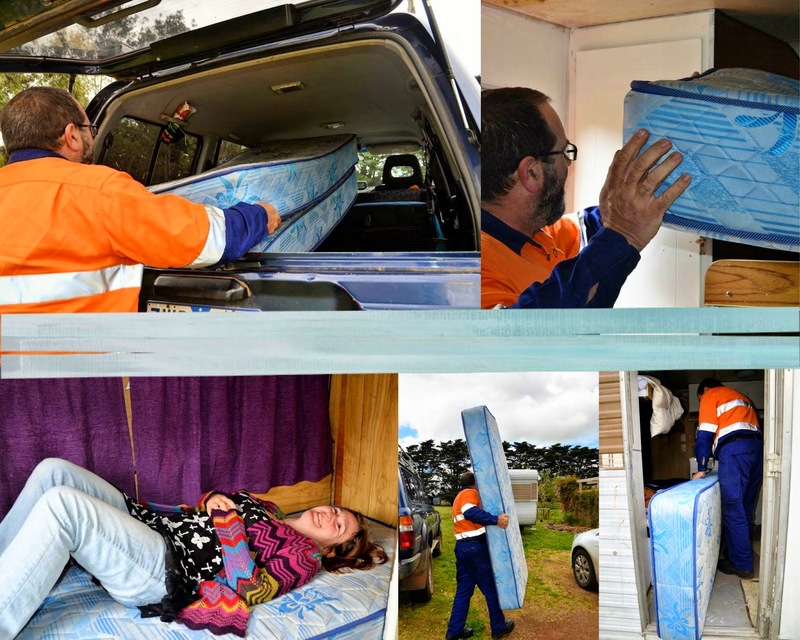 The seller was away over the weekend, so Nick collected the mattresses after work yesterday. They looked very long in the back of Elmer and there was much discussion as to whether or not they'd actually fit. (Rest assured there was a lot of laughter during the debate)! After Vaughan came home from school, the mattresses were unloaded and then manoeuvred into place. Erin's fitted - just! Vaughan's bed is slightly narrower, so as Max (of Get Smart) would say we - "missed it by that much"! 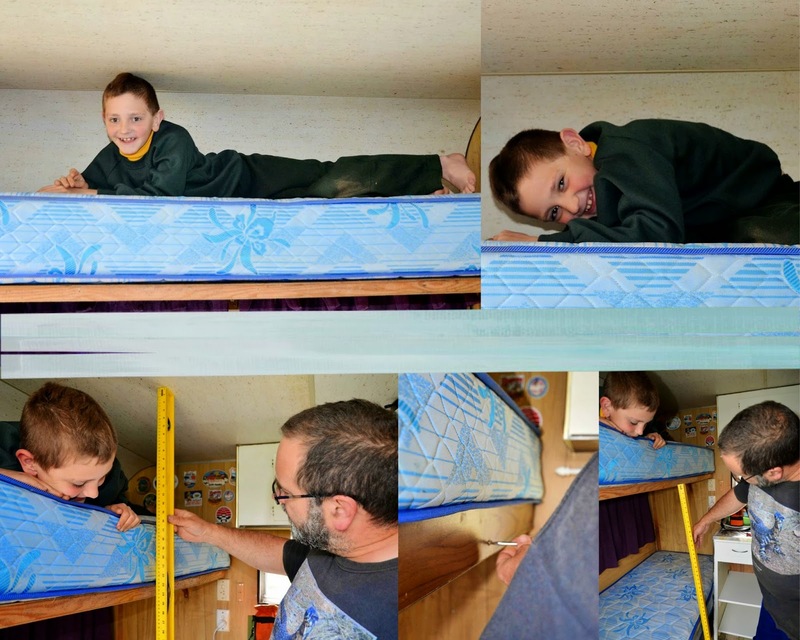 Given we were greatly concerned that neither mattress would fit at all, we were quite chuffed to be proved wrong! Nick removed the narrow side panel (just visible at upper left of the top collage) and will effect a minor modification to the bunk-base - after more fairly redistributing the head-space allocation for each bed. In a funny "six degrees of separation" way, when chatting to the mattress sellers Nick realised they were related to the lady who organised our wonderful lapidary field trip to Castlemaine! How funny is that?! I was going to make the front window curtains my prototype because they would be generally less visible in the case of any errors - well, Erin would see them closely but no-one else would! Nick's plan to lower Vaughan's bunk means the front curtain rod will probably change position, so I'll use a different window as my first mission.